On 10 August 1678, France and the Republic of the United Provinces of the Northern Netherlands signed a peace treaty at Nijmegen [Nimeguen]. 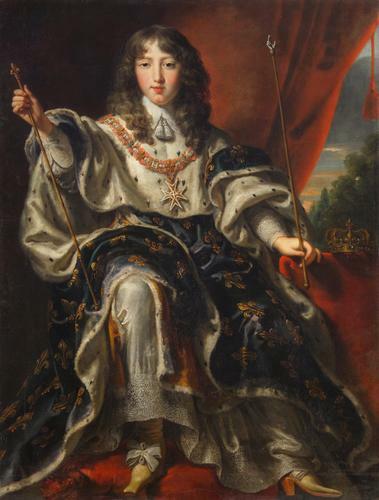 The treaty, which was one of several between the members of opposing coalitions, ended the war which had started with the nearly successful surprise attack by the French King Louis XIV (1638–1715) on the Dutch Republic in 1672. This clause was exceptional for its time because of its brevity and the broadness of its sweep as it set no conditions or restrictions to the general release of prisoners of war by the former belligerents. It was a precedent to what would become general practice during the 18th century. Peace treaties of the 16th and 17th centuries mostly set one or two restrictions. One restriction, which largely disappeared during the early 17th century, was that an exception was made for those captives of war who had already reached agreement with their captors over the payment of ransom. The other, which remained current throughout much of the 17th century, stipulated that the prisoners of war were liable for the payment of their living costs during captivity. Article 21 of the Peace Treaty of Vervins between France and Spain of 2 May 1598 contained both exceptions. The Franco-Spanish Peace Treaty of Rijswijk [Ryswick] of 20 September 1697, in its article 14, only retained the second condition, exempting, however, those captives who had been put to work on galleys from repaying their living expenses. The release of prisoners of war through peace treaties at the end of war became standard practice in European peace-making between the 16th and early 18th centuries, with some earlier examples from Italy. It constituted a break from late-medieval practices and the laws and customs which regulated late-medieval warfare. Under these laws, the individual warrior who captured an enemy warrior acquired a personal right over his captive allowing him to hold him for ransom. Much like in the case of loot, title to this ransom pertained in principle to the individual captor and not to the king, prince, or commander under whom he served. The regulation of captivity and ransom was one of the most crucial and sophisticated aspects of the so-called code of chivalry, the collective name which is given to the customary rules which regulated warfare among knights and found scholarly exposition in some legal treatises, such as those of Giovanni da Legnano (died 1383) and Honoré Bonet (c. 1340–c. 1410). Justus van Egmont. CC via Wikimedia Commons. The status, release, and ransom of captives of war were thus largely subject to private contracting. Nevertheless, there were also numerous instances of interferences by kings, princes, and military commanders. These could take various forms and were based on different motivations. One common practice was for military commanders to forbid plundering or taking prisoners for ransom as long as the battle was not decided. Such rulings were obviously dictated by military expediency. From studies from the Hundred Years War (1337–1453) between France and England, there are numerous examples of royal interference with private settlement. Kings often claimed and exercised a right to appropriate the control over certain captives and take them from their individual captors, although they did generally provide financial compensation. The major reasons for doing so were to secure the captivity of an important enemy, to facilitate exchange for important captives from one’s own side, or, more generally, to assert royal authority. Exchange of captives during and after the war became more generalised and standardised in Italy over the 15th century. The rise of mercenary armies and military entrepreneurship led to an enhanced disciplinary control of military commanders, condottieri, and their employers over their troops. With this came also an enhanced responsibility on the part of these captains for the fate of their soldiers. The gradual growth of public control over armed forces during the 16th, 17th, and 18th centuries further strengthened top-down disciplining and financial control by governments and their commanders over officers, soldiers, and sailors. This did not extinguish all rights of individual officers and soldiers to partake in the profits of plunder but it gradually led to the demise of private control over captives of war. Rather than a source of private income, capturing enemy personnel came to be seen as a way to ensure the military weakening of the enemy while governments at the same time took greater responsibility for ensuring the release of their own soldiers. To attain this, two types of international legal instruments were deployed. One was a capitulation or cartel between military commanders or governments during the war whereby the conditions for the mutual exchange or release of captives were set between warring parties or their armies. Such capitulations or cartels became a standard feature of European warfare over the 16th and 17th centuries. In principle, these cartels, like the one made between France and the Dutch Republic at Maastricht on 21 May 1675, provided that prisoners would be exchanged for prisoners of the same worth, or be ransomed. To avoid discussions about the balance of exchange, tariffs of ransoms were set per rank and office. The second relevant type of instrument was a peace treaty. As the 16th century drew to a close and the 17th century commenced, an increasing number of peace treaties included a clause stipulating the release of all prisoners of war. With their agreement to such clauses, governments usurped the rights of their own soldiers to exact ransom. In this case, no compensation was offered to the captors for the loss of their right. Over the course of the 17th century, the exception for captives who had already agreed on their ransom with their ‘master’ disappeared from peace treaty practice. Just like amnesty clauses, whereby princes signed away the claims of their subjects to compensation for wartime damage, this shift fell within the emerging logic that war and peace were an affair of state, to which private interests were subject. Featured image credit: ‘Peace of Nijmegen’, by Henri Gascar. Public domain via Wikimedia Commons. Randall Lesaffer is Professor of Legal History at Tilburg University, and the General Editor of Oxford Historical Treaties.